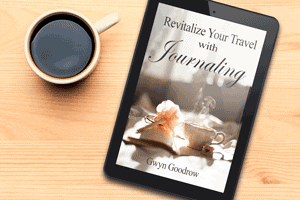 You have just arrived in a storied and famous city and must now face the ultimate challenge of all travelers. How do you make sense of a city with only a few hours available? In this case, our city to explore is Boston. Boston, a city where the American Revolution began, has both historical and contemporary perspectives beckoning your attention. 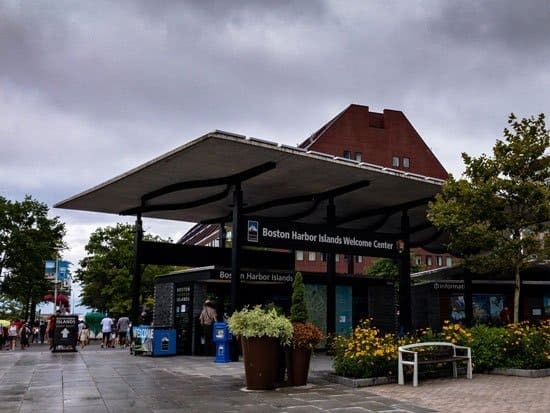 The Boston Harbor Islands Welcome Center is an excellent starting point for an exploration of Boston. Operated by the United States Park Service, this visitor’s center provides planning resources as you begin an exciting day of learning about Boston. Even better, It is just across the street from the Old Town Trolley main ticketing location. 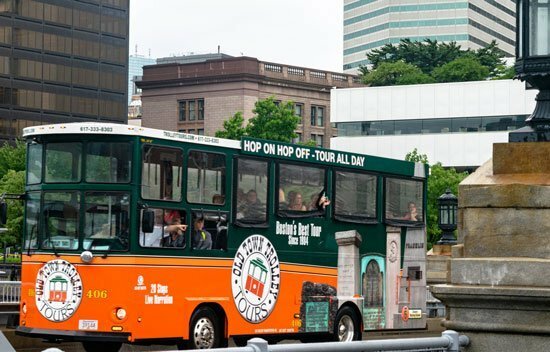 The easiest way to get a guided tour of the sights and sounds of Boston is by riding the Old Town Trolley. The trolley makes a complete loop around the city every 2 hours. A single ticket allows access to any of their buses so you can easily hop on and hop off while exploring landmarks along their route. The bus schedule runs from 9 am to 4 pm November to March, and 9 am to 5 pm during the rest of the year except for the local holidays of Thanksgiving and Christmas. The bus operator provides detailed and informative descriptions of buildings, landmarks, and events while the bus tours through the many historic and culturally significant locations visible from the comfortable seats of the bus. Near the Welcome Center and the bus pickup for Old Town Tours is Quincy Market near Faneuil Hall in downtown Boston. 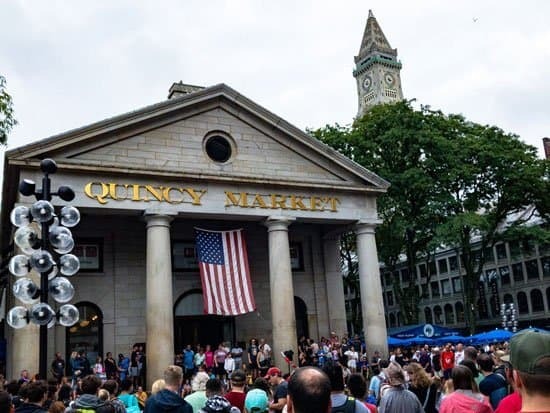 Quincy Market was constructed in 1824–1826 and named in honor of Mayor Josiah Quincy, who organized its construction without any tax or debt. Designed by Alexander Parris, the main building was built immediately east of and “behind” Faneuil Hall. At the time, the building was located next to the waterfront at the town dock. In an early example of Boston’s tendency for territorial growth via landfill, part of the harbor was filled in with dirt to provide a plot of land for the market. The commercial growth spawned by the new marketplace led to the reconstruction or addition of six city streets. From its beginning, Quincy Market was largely used as a produce and food shopping center, with grocers of such goods as eggs, cheese, and bread along the edges of the inside walls. Digging performed for expansion of the market in the late 1970s uncovered evidence of animal bones, suggesting that butchering work was done on-site. In addition, street vendors took up space outside the building in its plazas and against its outside walls. Some surviving signage from those early merchants is visible today in the upstairs seating hall. Today, Quincy Market houses dozens of retail shops and restaurants. The surrounding plaza has boutique shops and various entertainment venues. It would be easy to spend an entire day visiting Quincy Market and still not see everything available. 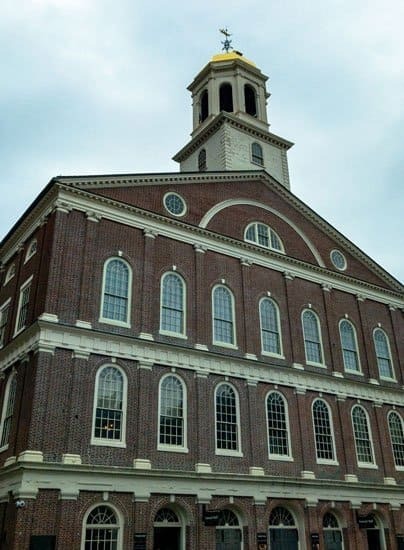 After walking past Quincy Market, you will come upon Faneuil Hall. This hall is of historic significance as one of the primary meeting places for members of the Sons of Liberty. One of their members was Samuel Adams. The building was gifted to the city by Peter Faneuil in 1740 and constructed between 1740 and 1742. 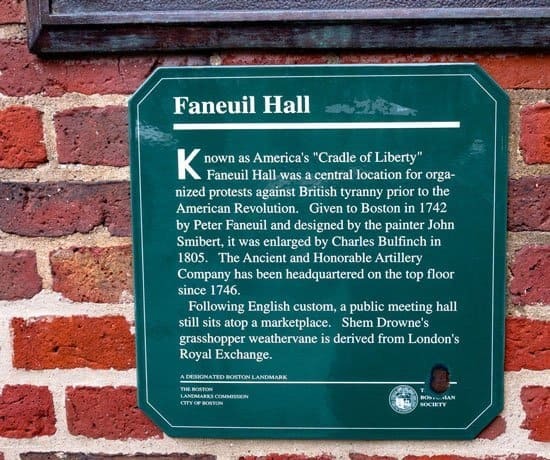 The area near the hall was used as a slave auction site by Peter Faneuil and others. It was destroyed by fire in 1761 but rebuilt by the city the following year. There are public restrooms on the lower level of the building (basement level) and some museum-quality displays on the main floor where the National Park Service operates a tourism information kiosk. Faneuil Hall is one of four historic buildings in a festival marketplace, Faneuil Hall Marketplace, which includes three historic granite buildings called North Market, Quincy Market (above), and South Market. These are adjacent to the east of Faneuil Hall and collectively operate as an indoor/outdoor mall and food eatery. When you are faced with the dilemma of how to explore Boston with only a few hours the answer is to use the resources at hand and keep it simple (and fun!). You can simply go to the Welcome Center and then hop on the Old Town Trolley and explore the town in the company of the knowledgeable bus operator with ample opportunities for hopping off for independent learning adventures.